"Art cannot be just a social novel, a manifestation of post-industrial culture nor avant-garde experimental composition, without it being more than itself. Equally, it cannot be defined by itself without a metaphysical overlap. If so, it exists with absence of basic functions such as a human having cardiac arrest. That state seems to be compatible with relatively little life." 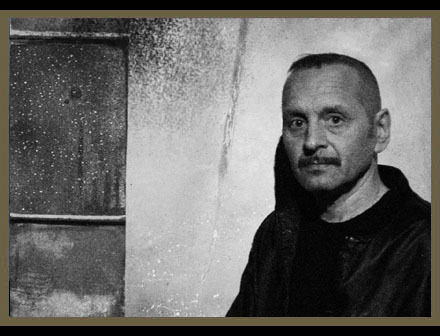 VLADIMÍR HIRSCH is a Czech contemporary avantgarde composer, instrumentalist and sound alchemist, integrating contemporary classical, industrial and dark ambient music. His compositional style is characterized by polymodality and using digital technique to enhance sonic means of expression. Besides creating solo works, he is the founding member and leader of AGHIATRIAS, SKROL, ZYGOTE and various other projects. 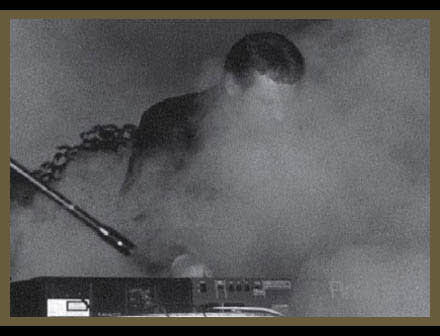 He was also a member (keyboard player and vocalist) of the 80's experimental post-punk group DER MARABU. Vladimír Hirsch has been composing since he was a teenager, when, as a pianist and organ player, he started to write romantic and classicist pieces with elements of experimental rock . However, he abandoned these compositions for some time and delved into experimental jazz and rock music up to 1986, when he joined post-punk band MARABU. 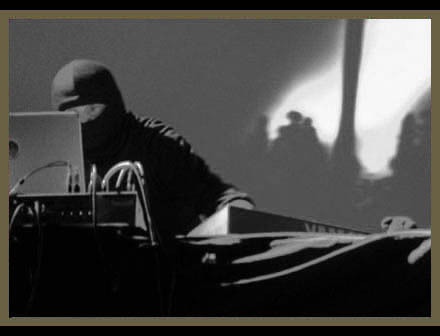 Simultaneously he also started to apply modern classical forms to electronic and analog music resulting in a more transgressive industrial style . The trial in this direction is represented by the experimental space-ambient album SYNTHETICS-THEMES (1987), SYMPHONY NO.1 for two synthesizers (1989) and ORGAN PIECES (1991). MARABU was initially influenced by post-punk. The band originally consisted of drummer Josef Škoda ,bass-guitarist Tomáš Hadrava ,Vladimír Hirsch on keyboards, guitarist Janis Georgiu and singer Samír Hauser . 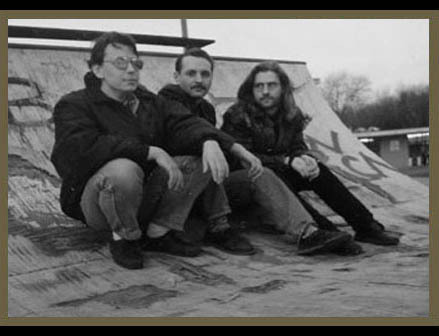 Marabu performed for the first time in 1987 in Prague and the same year the band created the first demo recording, MARABU I. In 1990, the band changed their name to DER MARABU as well as the line up with guitarist Michael Kureš joining Vladimír Hirsch and Josef Škoda while other members left the group.The band also changed their direction to a darker and more aggressive style with some inspiration from 20th century Slavic classical music. The band's lyrics are a mix of existential disbelief and political criticism of the civilized world. The final result of this period was the album CRUCI-FICTION recorded in 1993. After many personal changes the band finished its activity 1996 by the recording ALL OF US WILL FALL AWAY with Martina Sanollová doing vocals. 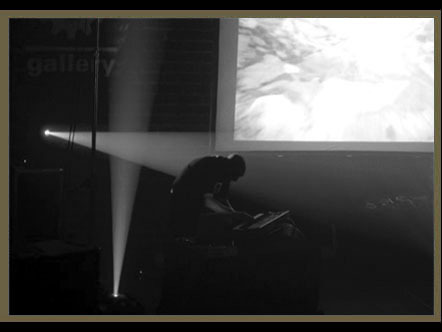 Immediately after the break, Vladimír Hirsch established the martial industrial band SKROL. 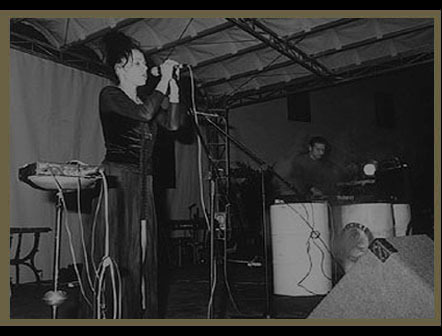 SKROL's activity started to evolve in 1996 on the wrecked remains of DER MARABU, consisting of Vladimír Hirsch (composition, electronic instruments, vocal), singer MARTINA SANOLLOVÁ and TOM SAIVON, sound alchemist, lyricist and band manager. The creative principle of SKROL is based on neo-classical concepts with a congregation of industrial. The typical attributes of this music consist in heavy martial rhythms, symphonic arrangement of main riffs, with volatile melodies of electronics, classical organ, strings and brasses in amorphic noise space. The intense atmosphere is crowned by the ecstatic, passionate and extremely igneous expression of the singer. Skrol is a project where underlying rock song structures are overpowered by angry industrial soundscapes. These principles led Vladimír Hirsch in the direction, called by him "integrated music." 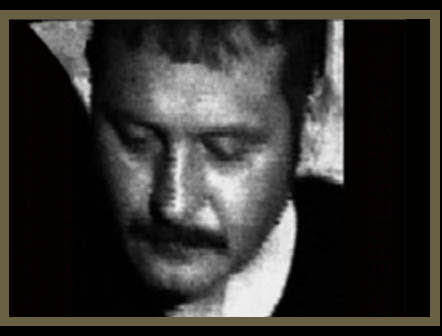 He composed 5 instrumental albums for the band: SIMPLICITY OF HERESY (1996), INSOMNIA DEI (1997), THE FALL VERIFIED (1997), DANCES & MARCHES (1997- 1998) and NEW LAWS / NEW ORDERS (1999-2000). SIMPLICITY OF HERESY is a religious epic composed of digitially manipulated string instruments, brass, classical organ, densely enhanced piano and drums combined with additional dark ambient soundscapes created by Saivon. The conceptual affinity of Hirsch to his classical models is evident, but does not surpass the scope of severe militant rhythms along with obstinate instrumental loops as a counterpoint to the melodic calmness which further enhances the relentless tension created in the music. The final version of SIMPLICITY OF HERESY was reworked using vocals into HERETICAL ANTIPHONY which came out as a CD in August 1999 on the German label M.D.Propaganda Records. Likewise the strictly conceptual album INSOMNIA DEI is the most aggressive and heaviest martial industrial album from Skrol with raw, dense and destructive sound, in which everything is submerged. The aggressive substratum of the music is supported by the emotional overlapping female and male vocals. The songs Soaking, Movie Martyr, Insomnia and Dei irae came out as a 10´LP called MARTYRIA on the LOKI Foundation label in August 1998, followed by the release of the full length in 2001 on the U.S.label Chromozome-RRRecords and again in May 2003 on the M.D.Propaganda Records label. The album DANCES & MARCHES FOR THE ORPHAN AGE, created over a period of 7 years, can “boast” the longest deferment of studio adaptation due to the differing visions of SKROL’s individual members. The preference of uneven or incomplete rhythms in this album is obvious. The dominant female melodic vocals assumes a distinctly sorrowful voice, sometimes non-verbal with a transcendental character, and the most important instrument here, not by its predominance, but by its content, is the organ, which has the role of disquieting and dramatizing the figurative, fierily symbolism of Saivon's lyrics. The album was released after extensive remixes by Vladimír Hirsch in March 2005 by the Portugal label Dagaz Music. The last SKROL album NEW LAWS / NEW ORDERS was originally planned as a culmination of the conceptual possibilities of the band. It was finally restructured and released in August 2009 by the Argentinian label Twilight Records. With this album, the band eclectically closed the whole work of Skrol. Some of the tracks are revisited from earlier instrumental versions combined with previously unreleased material influenced by the contemporary solo works of Vladimir Hirsch. Skrol's action potential was reached in this album which oscilates between modern classical music, ritual and martial industrial. Some of SKROL´s tracks also appeared on a few compilations. The track "Eternity Ltd.“, was included on the compilation album THORAK, which came out on the label WAVS 2003 in September 1998 under the name "Ewigkeit“ and "Fall A Prey“, which was released in 2000 as part of a voluminous compilation on the Russian label AchtungBaby! with the name BEHIND THE IRON CURTAIN / TEN YEARS OF MADNESS. 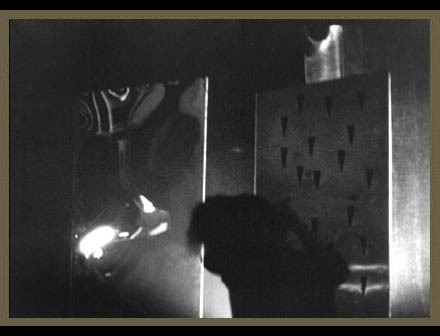 The ritualistic trances of the singer who often sang in ecstatic frenzy combined with kinetic physical theatresque performance, while the two noise makers stood behind in terrorist masks, was a signature mark of Skrol's live perfomances . 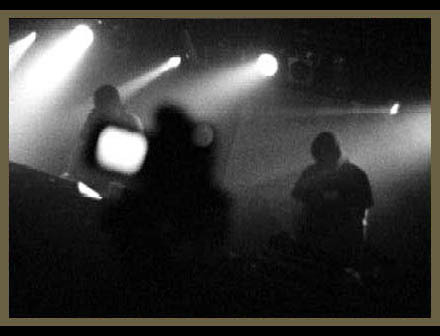 SKROL regularly appeared in many European countries, including tours in Britain in 1998, Germany in 1999, and their most successful "Fire Martyrs Tour“ in June 2001 in the US, which was a combination of SKROL sets and the new project AGHIATRIAS. The band fully stopped its public appearence in 2002, but rejoined for live shows again in 2011. Current Skrol performances are accompanied by the epic, mystical and intense synchronized video montage, provided by Marianna Auster. In winter 1998, Hirsch composed a large collection of tracks, entitled SENSE GEOMETRY, as an attempt to apply some geometric principles in music, inspired by mathematical theory of fractals. To this purpose he uses simple signals of interval, rhythm, structure and instrumental logic. Industrialised instrumentation plays here the role of the chaotic, irritating element and forms an emotionally tense atmosphere, the hypnotic rhythm has the role of keeping order, meanwhile the ambient sounds pivot the listener's attention to another level of perception. Originally Hirsch's solo work, after the successful stage presentation with vocalist Martina Sanollová, changed into the project ZYGOTE. In 2000, ZYGOTE recorded an alternative version of the album under the name GEOMETRIE NEVĚDOMÍ. The original sound was distorted by apocalyptic vocals and multilayered instrumental and disturbing noise together with the existential and impassioned Czech lyrics of Tom Saivon. ZYGOTE - sometimes using the alternative names Zygote CZ or Zygote (CZ) - performed that album very succesfully between 2000 and 2003. In 2006, ARS BENEVOLA MATER, released Vladimír Hirsch's remix (2004) of the original work, which was the first in line of many solo albums put out by this Italian independent label. 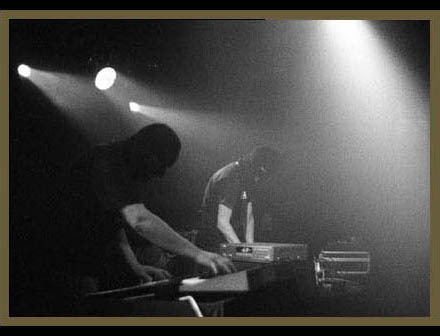 In autumn 1999, Vladimír Hirsch (composition, electronic keyboards, computer) and Tom Saivon (samples, computer) joined their creative efforts in the project AGHIATRIAS, which is a kind of extrapolation of the combination of neo-classicist (Hirsch) and noise (Saivon) tendencies within SKROL. 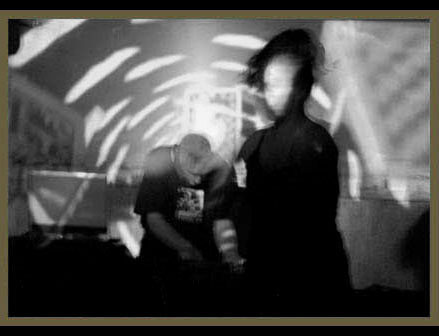 The first live performance in December 1999, introduced a few new tracks from their first album FIELD MASS, an adjusted industrial and power electronics version of Vladimir Hirsch's original track MISSA ARMATA." The album was released non-officially in 2000 by Hirsch's label CatchArrow Recordings. Also for this reason, Field Mass was later modified after many years by Vladimír Hirsch into the more cohesive solo work CRYPTOSYNAXIS for audiovisual presentation (2009). Cryptosynaxis translates as "hidden worship" in ancient Greek and as such the structural composition is based on standard liturgical elements. The music clearly demonstrates a highly structured industrial sound combined with classical instrumentation. It expresses a battle that is eventually disrupted by a violent scream convincing enough to end the turmoil and for both sides to take part in holy Mass together. 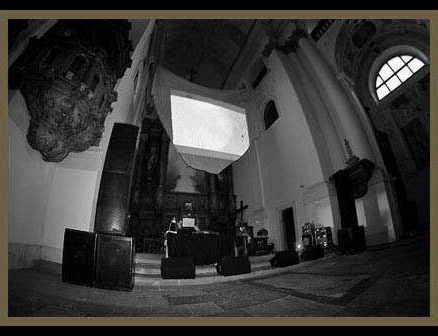 The Mass becomes the moment of realization, gradually eventuating in humility and a sign of peace.The synchronized video montage to the album by American photographer and videoartist Marianna Auster (2010) narrates between light and darkness, the holy and the profane. 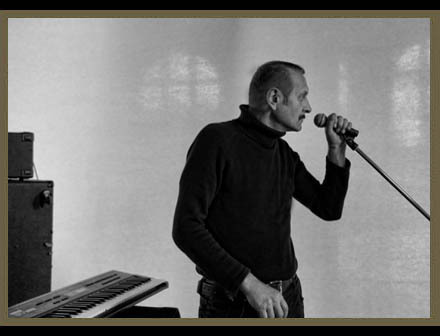 In 2011, Vladimír Hirsch returned back to original version from 1999, preserved its raw sound, only renewed and remastered it. This version is strict and uncompromising, demonstrating, achingly electrifying noises and power-electronic force and energy. This version was finally released on CD MISSA ARMATA . INVOCATIONES together with similar composition "Invocationes" by Ars Benevola Mater label in 2012. The second AGHIATRIAS album, EPIDAEMIA VANITATIS, came out as the 1st release on the group's own label, INTEGRATED MUSIC RECORDS, in 2002. Contrary to the preceding album, the general character aims more towards dark ambient - the structure of the material is richer, compositions have a deeper and wider ambience and the emotional perceptions are more immersive, without sparing the original intensity and urgency. 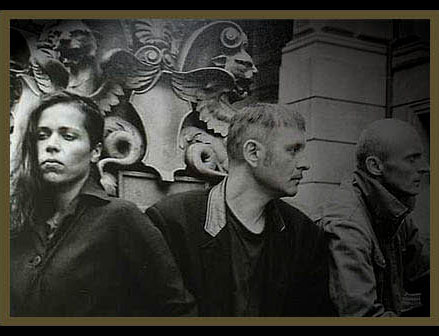 Their third album, REGIONS OF LIMEN, completed in August 2003, is an adjusted version of Hirsch’s solo project DE REGIONIBUS LIMINIS. This extensive dark ambient album is devoted to subliminal mechanisms of perception and its conception consists in the confrontation between the surreal (artificial ambient) and real (industrialized sound). The seemingly sombre character of the composition is brightened by an irradiation representing the fleeing moments of dawning. The album was released in March 2004 by the Czech label Epidemie Records. The reworked version of the original composition "De Regionibus liminis" with the name UNDERLYING SCAPES became a bonus CD for Vladimír Hirsch's boxset (Ars Benevola Mater) of solo works THE ASSENT TO PARADOXON in March 2009. The fully synchronised video montage by MARIANNA AUSTER, a continuing video cooperator since 2010, uses manipulated cut-ups of films, documentaries and stills, sequenced into a narrative that manifests the surreal subconscious ambience of the music. Vladimír Hirsch´s solo work was never interrupted during his conjoint projects. He has been composing an extensive collection of music, foremost a number of conceptual albums, including symphonies, soundtracks, suites and concert opuses, and many experimental compositions for his favourite instruments, organ and piano. A part of the most important albums were stepwise released from September 2006 on 7 discs, partially separately, partially as a box-set with the name THE ASSENT TO PARADOXON. The collection includes the albums: SENSE GEOMETRY (2006), CONCERT INDUSTRIEL POUR ORGUE (2007), SYMPHONY No.4 (2008), EXORCISMS (2008), LES SCÈNES ARDENTES (2009), CONTEMPLATIO PER NEXUS (2009) and NONTERRA (2010) which came out only as a compound of the set. The unified cover art was designed by Hirsch using the photography of the exceptional Czech conceptual photographer Jan Vávra. The box-set was released by the Italian label Ars Benevola Mater on 17th May, 2010. The symphonic works probably offer the best review of the development of Hirsch's compositional and sound techniques. SYMPHONY no. 2 (1997) with the epithet "Defensa“ is formally a classical composition, but incorporates synthesized percussion and brasses, contrary to the first symphonic work enriched by industrial sounds. The following SYMPHONY no. 3 (1999), subtitled descriptively "Sinfonia per orchestra, organo e percussione" is once again relatively a classical unit where tonality integrates into atonality and classical into industrial, using digitally processed instrumentation and synthetic sounds. This album was performed live in December 1999 at the Prague Industrial Festival (Galerie Exodus) under the patronage of the Open Society Fund, which provided the grant. Both the second and third symphonies were released after light revision in 2003. The last symphonic work, SYMPHONY NO. 4 "DESCENT FROM THE CROSS" (2001) is a thematic opus, originally inspired by Dostoevski’s interpretation of Albrecht Dürer’s painting of the same name. Epically, the symphony may be understood as a sort of filling of the gap between Christ’s death and laying into the grave, the process which is not given much space in the bible. The atmosphere created here is a deeply immersive and sharply painful experience, with a tragic and apocalyptical impact at the beginning, yet intimate inclination to hope in the end of the work. The album combines expressive means ranging from symphonic to noise, but attains unity and a fully homogenous structure. The album incorporates haunting choir singing and female solo vocals of contradictive (violent vs.ethereal) characteristics. The original composition was officially released in August 2008, its' completely revisited and remastered version, GRAUE PASSION, in September 2009. This album closely represents the composer's concept of “integrated” musical form the best. The voluminous CONCERT INDUSTRIEL POUR ORGUE, created in 1998, is a project which can only generally be described as using classical music form. It is characterized by themes surfacing in irregular pulses, which after an incandescent outburst, disappear again as if exhausted or suddenly on the contrary, rise up in a mass of industrial revolt. However, the main theme is never fully brought out on the surface. The reworked second version of the composition is markedly shorter, placing more emphasis on a systematic approach to its theme, without disturbing the above said basic qualities of the opus. This version was officially released in 2007. Between 2004 and 2008, Vladimír Hirsch created four solo albums which represent new creative attitudes, both in sound organization, tonality and instrumentation. Their main characteristic traits are polymodality, systematic organisation of chaotic sound structures, incorporation of new instrumental combinations, as well as heavier usage of vocals in the form of distorted dialogues and choirs. 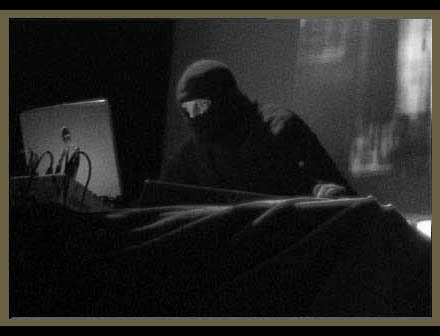 All of them constitute various ways in reaching inner cohesion of dark ambient, post-industrial and modern classical means of expression. The albums EXORCISMS and LES SCÈNES ARDENTES are similarly conceived. The core is one of an achingly nervous harmonic structure with rich inner life and articulation, corresponding with mighty, monolithic sounds of orchestration in integrated arrangement. The second album is a collection of scenic music, adapted as a fully conceptual, originally composed or arranged for theatre performances in the period between 1994 and 2003. It also implements emphatic components of solo and choral vocals arranged systematically amongst primarily unordered particulars, threading around powerful industrial rhythms. THE ASSENT TO PARADOXON collection of solo works was completed in 2009 by a philosophical-theological themed album, CONTEMPLATIO PER NEXUS, inspired by the writing "Teologia spiritualis mystica." This is the process of the mind's transformation during mystical contemplation. The composition describes all the phases of this process, divided into thematically antagonistic parts (complementary - affirmatory), which are indiscerptible compounds of the contemplative process. Particular sections are represented by subsections, which are continuously merged into each other. The album is a musical dialogue between space and detail, a kind of transcription of the relationship between man and the cosmos. The compositional architecture and sound characteristics of the work oscillate from intimate and almost subconscious layers over naturally radiating sounds to excruciating strength, tension or ecstatic heights. The album exists also in original sequenced version, CONTEMPLATIO PER NEXUS IN SEQUENTIIS (2008). The studio application of the concert program TORMENT OF NAISSANCE (2007), consitutes an evidently rising shift to microtonality and intense insight into amorphic harmonic structures. It is based on the theme of creationist parallels between the nascency of the cosmos and Man. The musical energy is very concentrated and has an impression of the inward expansion of sound masses into a collection of sharp, penetrating rays of sound. The album EPIDEMIC MIND (2008), comprises of Japanese cyber-punk writer Kenji Siratori's texts and declamations. The parallel vertically and horizontally organized chaotic atonal melodic elements contrast with the slow, heavy rhythmical patterns and monotonic and emotionally plain expression of the spoken word. The Japanese text is highly experimental, uncompromising, progressive and intense, written in a style that not only breaks with tradition, but severs all cords with it, embracing the mayhem of the digital age. Siratori's prose is made relentless by its many scientific terms from molecular genetics, which at first glance seems nonsensical, but in the end shows very convincingly the absurd reality of contemporary society. Both albums were released by Integrated Music Records and Surrism Phonoethics label. Integrated Music Records also releases compilations of tracks from Vladimír Hirsch's solo works and his projects, e.g. INTEGRATED MUSIC ARCHIVES VOL.1 (2004), FRAGMENTS, THÈMES ET IMAGES SCENIQUES (2005) and INTEGRATED MUSIC ARCHIVES VOL.2 (2009). An important part of Vladimír Hirsch's works constitute his soundtracks. These are TOBRUK (2008), originally composed for the film with the same name (but not incorporated into it) and music for the stage play MARKÉTA, THE DAUGHTER OF LAZAR (2009-10). Both of them are epics created within a classical m musical framework, but keep all typical attributes of integrated compositional techniques. The stage play soundtrack is more classical than any previous albums without leaving digital manipulation with sound. It was an inspiration for new arrangement of ENDOANATHYMIA (revised version of HERMENEUTIC CYCLE, released in the summer of 2011. In 2011, Vladimír Hirsch wrote an experimental composition "Organ Concerto No.2" for organ, integrated orchestra and electroacoustic techniques, called HORAE, working with poly-microtonal harmonies, dynamics and voluminal properties of sound of the main instrument in space-ambient milieu and invasive orchestral entries. Live version of the composition was released in 2015. At the end of 2012, Vladimír Hirsch finished restoration and remastering of compilative album SELECTED ORGAN & PIANO WORKS, a selection of compositions for solo organ and piano or predominatly for these instruments, containing also experiments with their special types, like gas organ, crystalophone, telharmonium, water harp, etc., created between 1976 and 2010. The collection combines unpublished tracks or adjusted versions of previously released material. 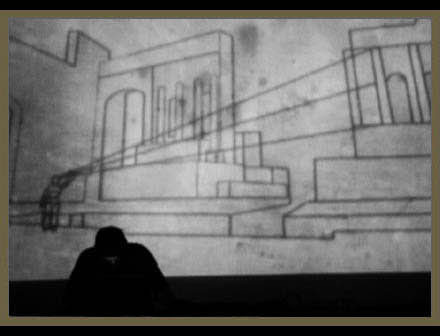 In the end of 2014 was finished and released the album AXONAL TRANSIT, which embraces two works, a four-part composition with the same name, considered and occasionally subtitled as "Symphony no.5" (2011-12), and an extensive epic track “Craving Urania” (2014) for electronics, strings, brasses and percussions manipulated by integrated techniques. Both of compostions are experimental works, based on similar compositional and technological processes, consisting in temporal and spatial variations blending of musical themes with an important role of ambient structures in the position of anchoring, however billowing matrix. There are used methods of antithetical, parametric or aleatoric articulation of sub-themes, which are more expressed in the title project. 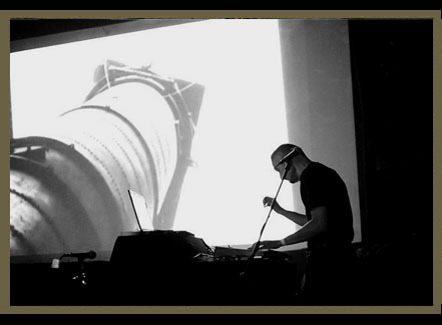 Between 2011 and 2017, Vladimír Hirsch created SOLA SCRIPTUM (“The writings of the earth”), an epic, dark-ambient album for integrated techniques and field recordings, based on non-instrumental ambient sound processing. Thematically, it is a fictive personal experience during apocalyptic war catastrophe. Musical idea and rendition of the figurative opus is carried out as "musique concrète intergrée" by the work with field recordings, electroacoustic and digital techniques through metamorphic musicalization of primarily non-musical elements, typical for the musician, in case of this album as an essential manner. The album (CD) released by Ukrainian label Old Captain in May 2017. 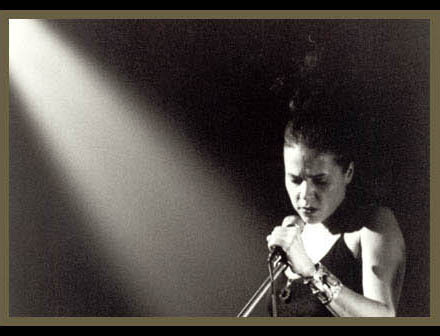 In 2007, the project LUMINAR AX, was established together with American singer and poet Dove Hermosa. It is an experimental rock formation, unifying integrated compositional style on top of expressive ethereal vocals. In 2008, the album OPTEM SPECTRIS was completed and together with several other tracks was officially released in 2011 under the name of the project. Dove Hermosa also participated as vocalist and lyricist on Hirsch´s albums CONTEMPLATIO PER NEXUS and TORMENT OF NAISSANCE. 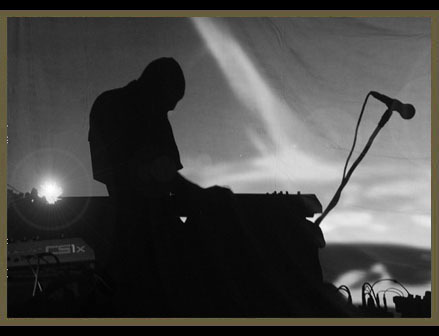 In 2009, Vladimír Hirsch, lyricist Tom Saivon and vocalist El founded dark-electronic project TIRIA, whose album ELYSIUM was released in the beginning of 2013 by American label LBA Composers. Musical expression of the project is based is based on the relationship between dark-ambient or post-industrial matrix with main, electronically balanced structure of songs. The contrast is enhanced by romanticizing female vocal and strict male recitation of existential texts. Vladimir Hirsch has also delved into other genres bordering on rock - jazz as with the album CASUAL CRIME (1998), a melancholic piano fuelled album where alt-saxophone, contrabass and drums create a raw early jazz energy. The album is a reminiscence of the composer´s earlier interest in jazz music in the seventees. It was created from his older romantic and ethnic themes which were arranged for a classic jazz quartet. Another kind of excursions to other genres, which Hirsch usually calls "entertainments" are industrial-electronic rock albums with manipulated samples echoing on top of clashing drums, guitar riffs and metallic percussions THERE'S NO HUMAN TRIUMPH (1996-1999), and melodramatically expressive DREAMS OF AWAKENING (1999) treating dream visions of anxiety and full of wailing lyrics. Both of works were presented in original versions under the name SUBPOP SQUEEZE, an alter ego of the musician. 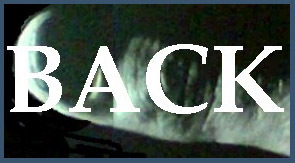 This project was resurrected in 2014 by dark-electronic, ironizing album THE SHEEP BARN ENTERTAINMENT, and over the next two years, Hirsch has created an entirely conceptual album ANACREONTICSwithin the project, released in the spring of 2017 (CD) by German label E-Klageto. 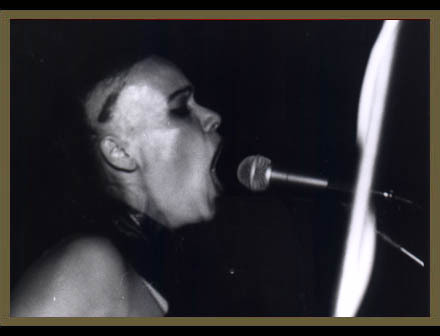 In style, it is some kind of "dark-electro-industrial-thrash synthesis" (T.Saivon), where thrash-metallic riffs and guitar structures are linked to electronic elements embedded in dark-ambient structures, supplemented by critical or sarcastic lyrics and vocal samples. Because of creating extensive collection of songs within the framework, it was then split between the above-mentioned album, where the text and vocal component plays only the complementary role and the songs cycle INTROSCAN (2016) with a more prominent role of solo singing and spoken word, which largely represents Hirsch's cooperation with the Dutch singer and songwriter Nadya Feir. Among many other authors' works should be mentioned album MISSA PESTILENS INTEGRA (1999). It is an adaptation of authentic parts of the recording of Diamanda Galás "Plague Mass" into an integrated compositional form, where the arrangement is a kind of counterpoint of instrumentally efficient and blasphemically tuned original album, including several tracks of shorter lenght. It was conceived as a creative partnership, but the album has never been officially presented. Besides composing, Vladimir Hirsch has been involved for years also in writing essays on art (eg., "Principles and technology of destructivism in art", "The problem of intelligibility of work of art", "Achievements of philosophy of success," "Incantation of experiment", "Salut l'artist" or "The painter of metaphysical transformation of pain" (about Mikuláš Medek), etc., poetry and graphics (especially designs album covers). Not interrelated, but interesting from Vladimír Hirsch's biography is the fact, that he graduated in 1980 Faculty of medicine of Charles University in Prague and with shorter or longer breaks practices also as a physician. VLADIMÍR HIRSCH's musical aim is an alchemical transmutation of modern classical forms and dark ambient, industrial and noise components into a homogenous indivisible structure. This act represents metaphysically the central idea of his concept of INTEGRATED MUSIC, which consists in the collision and reconciliation of two seemingly spiritually opposite worlds inside an individual.